From the 19th Century regular Union Castle Line services between Southampton and South Africa also called at Ascension Island and St Helena However, as air travel became more common the British Government was forced to consider alternative ways of supplying the islands before the Union-Castle liners were withdrawn in 1977. During the Falklands conflict, after extensive modifications in Portsmouth which included the addition of a helicopter flight deck and guns, the RMS ST HELENA was used by the Royal Navy as a minesweeper support ship. By the late 1980s it was becoming apparent that the ship was too small, old and unreliable. The need for a more efficient and reliable new ship was inevitable. The “new” RMS ST HELENA was a British registered Class 1 passenger/cargo ship, and operated with 56 officers and crew. It was equipped to carry a wide range of cargo, including liquids, to meet the needs of the population of St Helena and Ascension Island. The ship's capacity was extended in 2012 by the addition of 24 extra cabin berths and a new gym. The 6,767 tonne RMS ST HELENA was one of only two ocean-going Royal Mail Ships and one of only two remaining passenger-cargo liners. 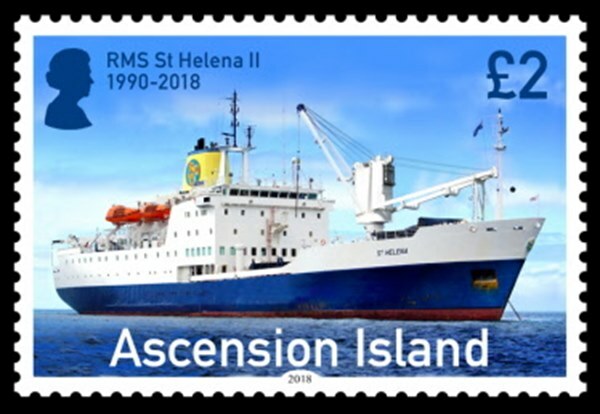 The RMS ST HELENA commenced her final voyage on 24 January 2018. She made her final call at Ascension on 3 February before returning to St Helena for one last visit before her final departure on 10 February to Cape Town. 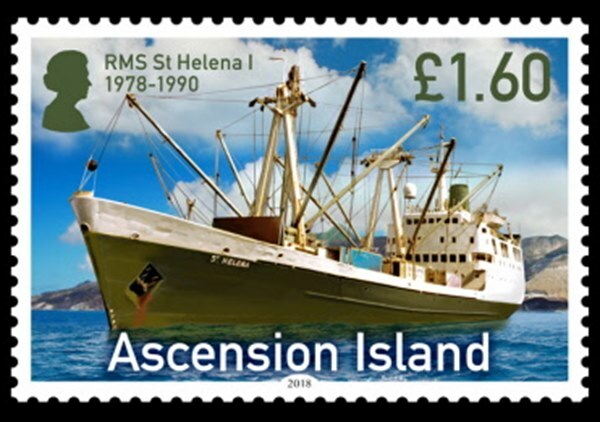 On completion of her service the RMS ST HELENA had been operating for 27 years and had sailed some 2,170,035 Nautical Miles. The ship has now been re-named MNG TAHITI and acts as a vessel-based armoury ferrying guns and guards to ships navigating perilous stretches of water with heightened pirate activity in the Gulf of Oman. For many Saints, wherever life took you, all paths converged on the RMS. The RMS was the bridge over which anyone wanting to get to or from St Helena must pass. For many Saints, it signified going home or the start of a holiday. But it was more than that. If you were leaving home in search of riches or love abroad; if you were getting married and going on honeymoon; if you were taking a new baby to see its grandmother or accompanying a loved one to get urgent medical attention, you would travel on the RMS. Of course, for Ascension, the RMS has had a practical purpose. It’s been the lifeline for the civilian population. It’s how the employers got their workforce to their place of work. It’s how the shops got their fresh food. It’s how people sent their things, whether gifts for the family or their life’s possessions home. For Saints, the RMS had great emotional significance and will never be forgotten. Ascension 2018 £1.60 and £2.00 sg?, scott?